Our most popular cabinet – featuring a large work surface with specialized storage for notions & tools the hidden drawers and cupboard can even fit your overlocker! 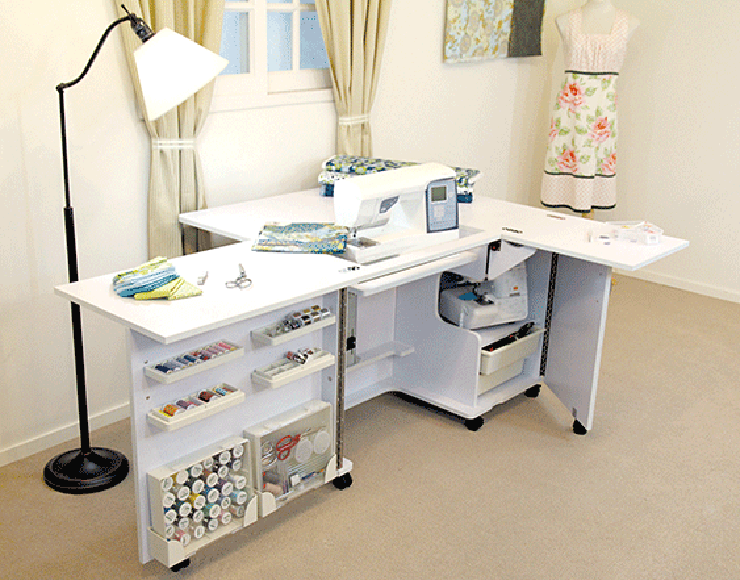 The Eclipse provides an all-in-one sewing cabinet with the opportunity to keep everything you need to create your masterpiece within arm’s reach. Available in a right or left hand configurations, the Eclipse is tailor made to suit you.